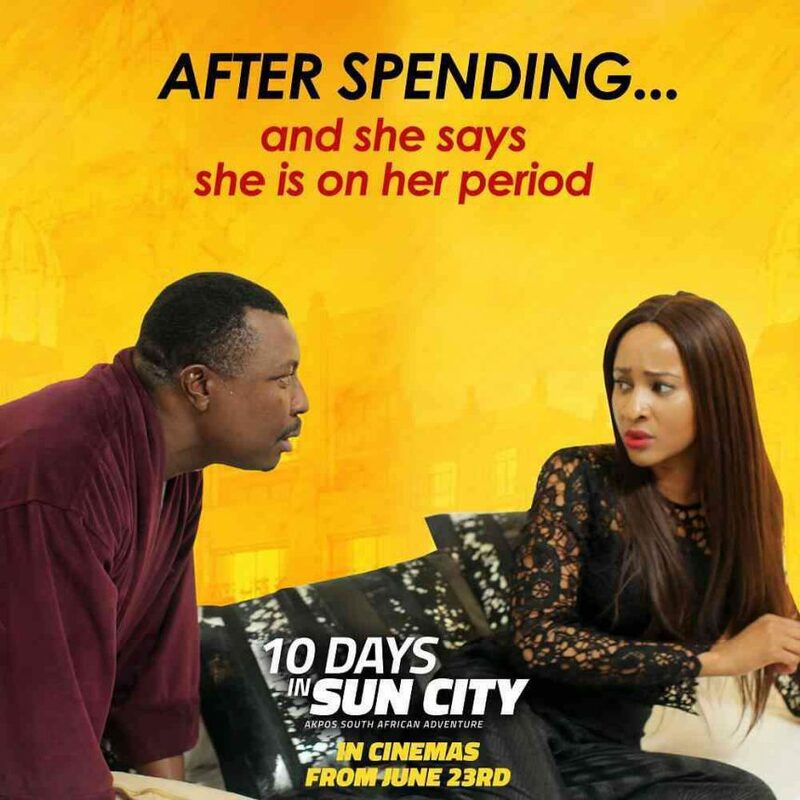 A potpourri of love, drama, passion and culture, “”10 Days in Sun City”” is a comedy-drama that sees Akpos on another ‘adventure’, this time, to South Africa, with his girlfriend Bianca. 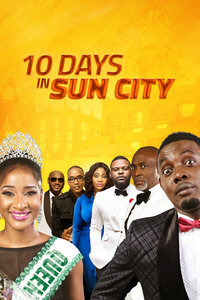 Bianca is a campus beauty queen who he (Akpos) has sacrificed his livelihood to make successful. After successfully winning a national beauty pageant, Bianca, ever loyal to Akpos, is now an international celebrity rolling with society’s ‘high and mighty’. She is, amongst several mouth-watering corporate endorsements, global ambassador to, and the face of multi-national cosmetics conglomerate ‘OTAWI’ which is owned by Nigeria’s richest man, Otunba Ayoola Williams, aka ‘The Old Fox’. To Otunba, Bianca represents more than the face of his company, he has plans for her to play a bigger role in the business as well as in his ‘life’. So Otunba decides to embark on the same journey to South Africa. Bianca has no idea what lies in stock neither does Akpos. But will Akpos give up his love with all the sweat he has invested or will Otunba lose this time with the use of his wit and charm as the ‘old fox’ which he has used to conquer like he has done, time and again, in the world of business?